I think I have an old spirit. And I mean that in the most "I am boring and a homebody" kind of way. I don't like concerts because I just want everyone to sit down, be quiet and listen to the music. Pop music makes me cringe. Beyond sounding like a cane brandishing cranky old lady, I think my old spirit status is better supported by what I do like. I like to sit at home and watch a movie and read a book. I see the value in always listening and observing before speaking and acting. I learned how to knit and I love it. If I had a day all to myself, I would browse an antique mall. And more recently, I am getting back into cross stitch. 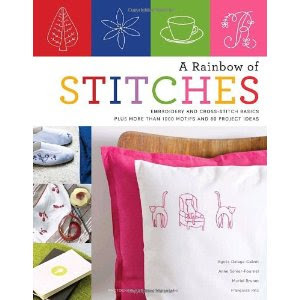 I got this book yesterday and I am so excited to start making cute little cross stitch animals and birds and monograms. So excuse me as I put on my slippers, curl up on the couch, and enjoy a night of cross stitching (far more that I would ever enjoy a noisy Katy Perry concert). That is a lovely way to spend the evening! Be proud of your spirit! !